I have been vexed for some time about closing a gap I have felt with, you, my audience (4th wall is hereby broken). I diligently pursue making my content, thoughts, and works accessible to those who do not have a computer science or math background. I do look for ways to encourage or inspire the hobbyist programmer and present Flash to those that might not even know a programming language – I do have code samples and downloadable source on this site. My mission for this blog was to be a journal of my projects, ideas, experiences, and share my discoveries along the way. I do not intend to create an instruction manual, teach programming, or provide game development materials – at least not in blog form (its chronological nature just doesn’t lend well to a course of study or reference guide). However, since I can now convince people to pay me to program in Flash, I can certainly put you on the path to master this platform. 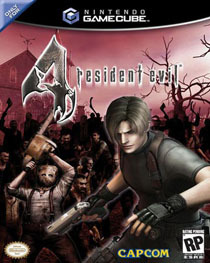 Wow, I have many ‘favorite games’, but perhaps the most interesting and popular one to talk about is Resident Evil 4. If you are not familiar with this game, it is a 3rd person over the shoulder style shooter in the survival horror genera. Resident Evil 4 was as pivotal to shooting games as Diablo 2 was to role playing games, and its reviews still place it as one of the top 20 games of all time. While I could talk endlessly about this title, I will narrow my focus to what specific game play elements made it fun.